For most travelers, adding a visit to a cemetery isn’t on their itinerary unless they have a specific reason. However, with increasing interest in discovering our roots, many now use cemeteries as viable sources for clues to the past. Even if you are not on a genealogical quest, the cemeteries listed below warrant a trip. If you go exploring, please respect the sacred grounds and those resting there. Raleigh has several interesting cemeteries located just a few miles apart in the downtown area. City Cemetery is the oldest cemetery on record in Raleigh. Established in 1798, the cemetery originally consisted of four acres, divided into sections for local residents (white population), visitors, and African Americans. Mount Hope Cemetery. 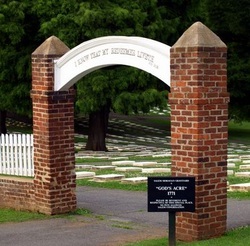 Due to a need for more land to bury Raleigh’s black population than the one acre available at City Cemetery, this African American cemetery opened in 1872. In Durham, Maplewood Cemetery, established in 1872, is located at the edge of the Duke University area. Notable names at rest here are Dr. Bartlett Durham and members of the Washington Duke family, includingSarah P. Duke (Washington Duke and sons Benjamin and James were re-interred in the nearbychapel at Duke University). 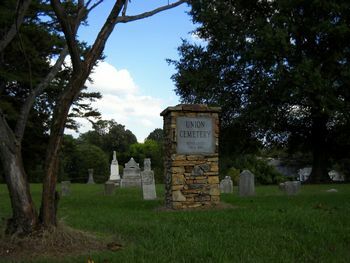 On the east side of South Elm Street in Greensboro the city’s oldest African American cemetery, Historic Union Cemetery, was established in the 1880s. Although burials have not taken place there since the early 1900s, the cemetery is regularly maintained and patrolled. It was placed on the National Register of Historic Places in 1993. The historic Moravian burial grounds, God’s Acre, in Old Salem, Winston-Salem, is the final resting place for members of the Moravian community. Saint Philips Church is also located in the Old Salem Museums & Gardens Historic District. This restored 1861 brick church and burial ground is the oldest existing African American church in North Carolina. Finally, if you are en route to Smithfield, be sure to stop by the Ava Gardner Museum and then pay your respects at her gravesite a short distance away in Sunset Memorial Park. For more info: City Cemetery: 500 E. Hargett St., Raleigh 919.831.6548; Mount Hope Cemetery: 120 Prospect Ave., Raleigh 919.831.6548; Historic Oakwood Cemetery: 701 Oakwood Ave., Raleigh 919.832.6077; Maplewood Cemetery: 1621 Duke University Road, Durham 919.560.4156; Historic Union Cemetery: 900 block of South Elm, Greensboro 336.373.2867; Sunset Memorial Park: Intersection of Highways 70 Business & 210, Smithfield.